If you were thinking about upgrading your MOD lately and were confused about what product you should invest into then, your dilemma might get solved today. There is literally a flood of clearomizer and vaporizers in the e-cigs market today but there are just a handful of products that manage to grab your attention and Innokin itaste SVD 2.0 combo kit is definitely one of them. This product is the latest addition to the kitty of amazing clearomizer and itaste kits launched by Innokin and Evolv and is advertised as the next generation MOD loaded with advanced features, unbeatable power and unmatchable durability. If you thought that your routine MOD had the best features and flexibility with regards to power and voltage, you definitely need to think again because the Innokin SVD 2.0 combo starter kit is launched with an aim to redefine the already established standards in the MOD starter kit industry lately. The Itaste SVD 2.0 kit contains just everything to ensure you an outstanding vaping experience and has upgraded features as compared to the previous SVD model that had made several waves in the vaping market already. There are in fact a number of cool features in this newly launched powerful product that makes it a next-generation ultra-intelligent vaping device. To begin with, the SVD 2.0 comes in a sleek body that is quite attractive and looks great in one’s hands. The size of this SVD has been appropriately designed as it easily fits into the palms of the hand without giving an alien feeling. This product from Innokin comes with 2 control buttons and an LCD display located at the side which definitely makes it a smart and extremely user friendly device. 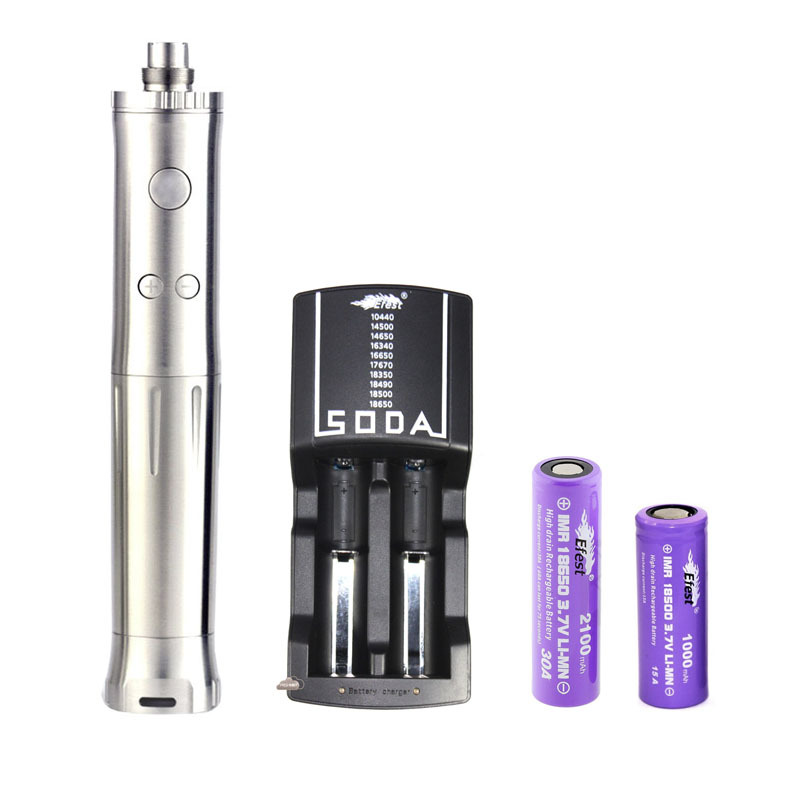 The SVD 2.0 is equipped with a DNA microchip and has a variable voltage MOD feature and both these features give a perfect chance to the user of this product to play with the voltage and power of the device. The Innokin Itaste 2.0 combo kit is loaded with the latest Stepdown technology which gives you the option to experience the blissful low wattage vaping sessions. With the help of this advanced and path-breaking technology, you can take the power of your clearomizer to as low as 5 watts. When you possess an SVD 2.0 combo kit, you’d never miss your vaping while travelling from one place to another because this combo kit comes with a number of features that make this device travel-friendly. SVD 2.0 comes with a travel case, power level checker, charger ego threaded top caps and batteries that make it possible for you to take this device wherever you feel like. 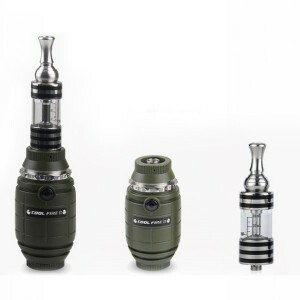 The SVD 2.0 combo kit comes with a 30 day limited period warranty which means you can always go for a quick replacement of your device in case you aren’t satisfied with the product which is a wonderful feature as well. 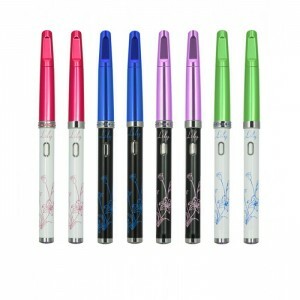 Here at Fresh Mist, we are one of leading distributors of the Innokin e-cigarette range. Innokin currently designs four different e-cigarettes, the iTaste, iClear, CoolFire and the Lily. Founded in 2009, Innokin design some of the best Advanced Personal Vaporizers in the world, making e-cigarettes more environmentally friendly, than their disposable counterparts. We sell all the Innokin e-cigarette range, and even stock the Swarovski crystal encrusted Lily, the brand new creation from Innokin. So if you have been looking for a branded advanced e-cigarette, with a little bit of pizzazz, why not get in touch with Fresh Mist today. Sometimes, we want a bit of sparkle in our lives, and although plain e-cigarettes are great on a day to day basis, if you’re going out, and need some glamour, why not invest in one of the Innokin Lily range. For the reduced price of £42.99 you could be vaping in style! For this price, the Lily Swarovski Crystal comes with a 350 mAh polymer Li‐Ion rechargeable battery, 2 mouthpieces, encrusted with Swarovski Crystals, 4 atomizers and Cartridges, a USB charger and pipette bottle. What’s more, the Lily comes in a range of different colours, including pink to make the boys wink! For the more masculine vaper, there is always the iTaste Cool Fire II. Designed to resemble a hand grenade, the Cool Fire II is available in both black and khaki. For under £50, the Cool Fire II will be sure to appeal to those who want to make their vaping experience a more personal one, especially those with a military style. For £49.99 the Cool Fire II comes with an iClear30B Dual Coil Clearomizer with rotatable stainless steel drip tip, along with the presentable box and owner’s manual. There is an LED Battery Power Display, a low voltage warning and battery safety protection. So if you want to make your vaping experience more exciting, why not invest in one of the amazing Innokin ranges.  We can get your e-cigarette sent out to you today.